Customer loyalty is very important among auto makers now days especially ever since the economy has tanked and manufacturers such as Toyota were faced with massive recall campaigns. To put things back into perspective J.D. Power and Associates continue to keep us informed about how well certain auto makers are performing. 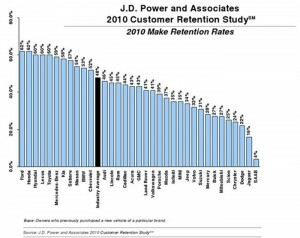 In the area of customer retention they have released a new 2010 Customer Retention Study showing which are buyers are coming back for the same make. When a consumer comes back to the same auto manufacturer for purchase of their next automobile it goes to show a certain level of loyalty to the brand which could be a result from many factors. One of those factors is undeniable. The consumers simply had a good experience with their last vehicle and therefore have the notion that purchasing another of the same make will result in the same situation or potentially be better. Many auto makers have stepped up their game. Case-in-point, Kia. Kia has had the biggest jump in J.D. 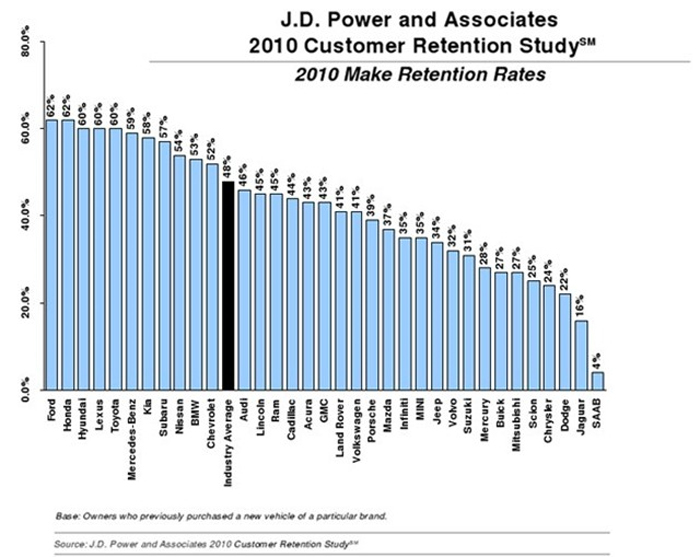 Power’s 2010 Customer Retention Study when compared ton 2009’s study. 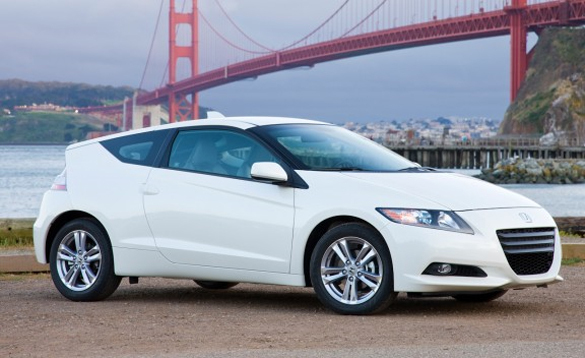 They jumped up 21 percentage points beating out Nissan, Chevrolet and even BMW. Ford has shown us what keeping their own head well above water without any help during an economic turndown can do. 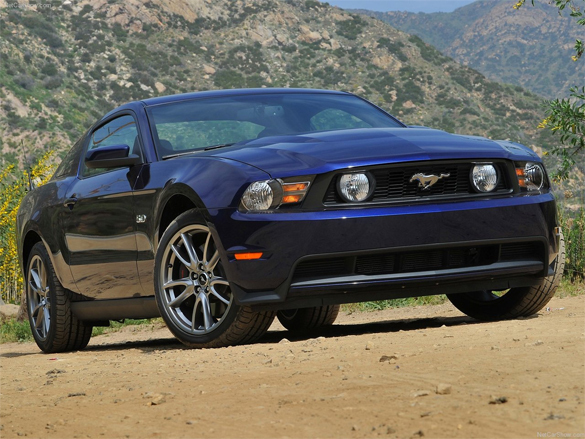 Not to mention all of the new exciting products Ford has revealed over the past two years. Surprisingly despite the small lineup from Honda, they continue to lead the list just behind #1 Ford. Only time will tell if this new study will have an indication as to who will be on top this upcoming year.